Am I the only one that gets excited when it's the end of the month, which means only one thing: payday! And that means I can browse into my favourite websites and finally order all these products and makeup I have been saving in my basket throughout the month! Am I the only one? I don't think so. We all love makeup and we get excited when new products are launched, and I personally love trying new skincare products and face masks. So if you think you don't belong in this category (you don't fool me, of course you are a beauty addict), read the following signs that indicate you are obsessed with beauty products. And if you nodded to at least six out of thirteen, then yes, you are one of us! ♥ You go to your favourite beauty store to buy a mascara cause you run out of it, and you end up buying three mascaras, two lipsticks, a blush, a new foundation, a concealer, a new perfume that just came out and you had to try cause it smelled sooo nice and 348 face masks. ♥ You stop women in the street to ask them what lipstick they are wearing and you immediately take notes of the name and brand. ♥ You own 462 nail polishes, plenty of them are similar or exactly the same colour and you only use 8-10. ♥ And you own lipsticks that are almost the same shade, with slight and minimal differences, but to you, they are completely different. 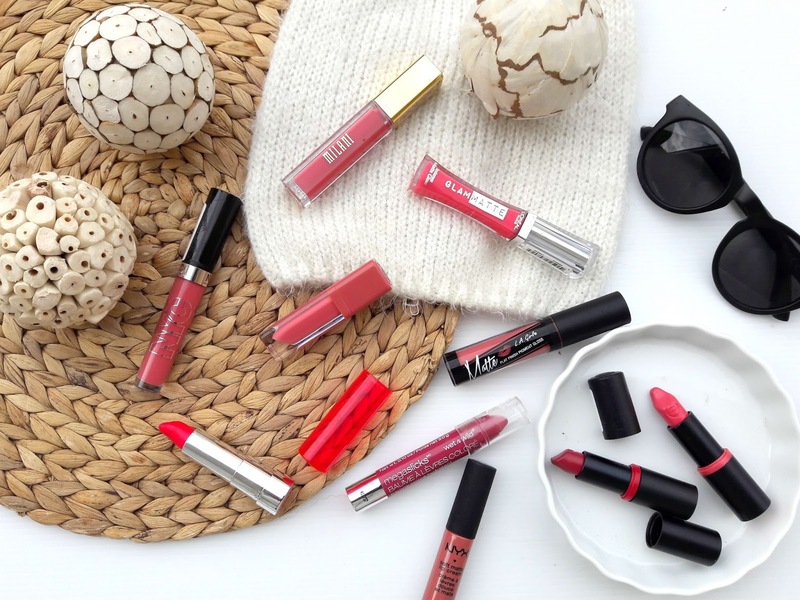 ♥ You can spend hours inside a beauty store, trying everything and swatching all lipsticks at the back of your hand before deciding what to buy. ♥ You always want to buy everything you see in a drugstore and you find it difficult to decide; you just want everything. ♥ You get angry when the assistant approaches you nicely to see if you need any help. Girl, please, I know what I am doing, in fact, I pretty much know more than you so leave me alone haha! ♥ You can watch youtube gurus for hours and take notes adding new products to your wishlist. ♥ When someone asks what to buy you on your birthday/christmas/nameday etc, you always prefer to receive a gift card so you can stock up on your beauty products. ♥ When packing for vacation, you cannot decide what to pack and take with you. And that is usually more than you will use on your holidays (for example, I usually take with me 5-6 lipsticks for 3 days) but who cares? These babies are travelling with me! ♥ Your wishlist is getting bigger and bigger. ♥ Your bathroom shelf is over-packed. Of course I need to have four body scrubs and eleven body creams! They have different scents so I have to have them all, ok? I am guilty of all these. Can you identify with these situations?